Bodyguard Fitness products has been ruling the market since 1969 and has been a front-runner in the redesign, testing engineering, and manufacturing of fitness equipment. Throughout our history we have remained committed to outstanding customer service, high quality innovative products and an industry-leading warranty. Bodyguard is dedicated to provide an exercise equipment experience that impressionists all facades of the proportional exercise. 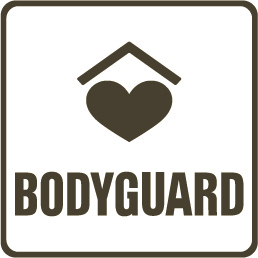 The brand of Body Guard feels that working out should be something more than just doing exercises on the equipment's but should also add fun to the run. Bodyguard knows that people want results so they have designed their product in well-designed processes. They keep on continuing in developing features that make attaining goals quicker and easier. More to add, Bodyguard apparatus is gradually designed so offering more advanced features as users work more to try their new fitness leveled fitness equipment's. Bodyguard knows that people want results so they have designed their product in well-designed processes. They keep on continuing in developing features that make attaining goals quicker and easier. More to add, Bodyguard apparatus is gradually designed so offering more advanced features as users work more to try their new fitness leveled fitness equipment’s. Bodyguard always think of customers safety and they put attention to built-in safety and injury prevention features and focuses on product resilience backed by an industry leading warranty, Bodyguard Fitness products are developed with quality and durability that allow users to focus on the important things in life. These products has made work out a fun and created its repute in the fitness world. Bodyguard fitness brand has invested good amount in research and development coupled with a commitment to utilizing the latest engineering practices and product technologies has made itself well-known the brand as an industry leader in new technology and product development.